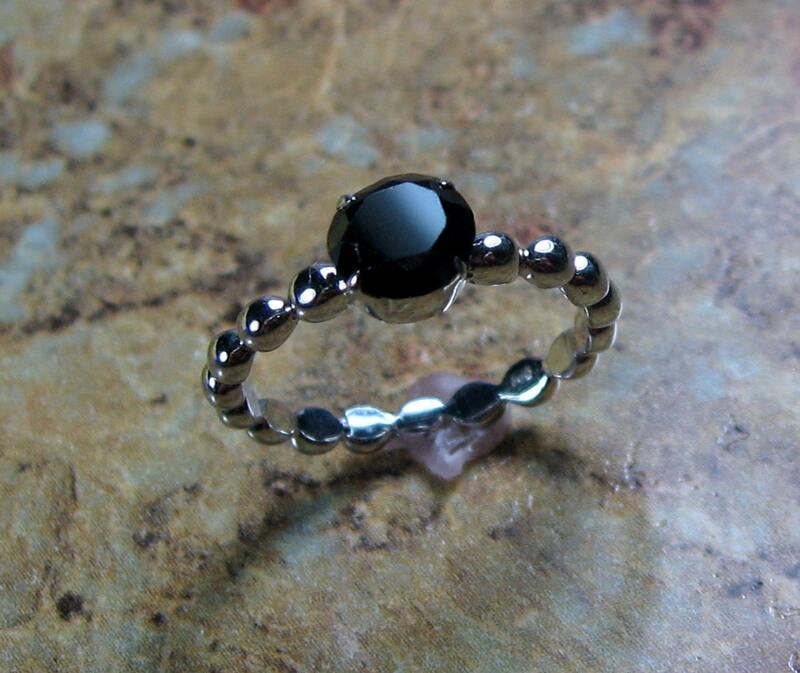 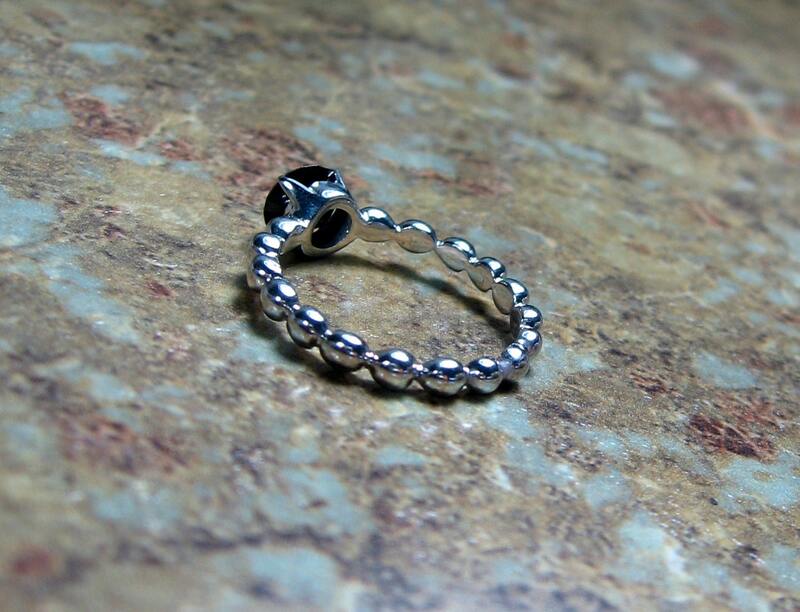 Gently faceted black Spinel gemstone, prong set in a decorative sterling silver band. 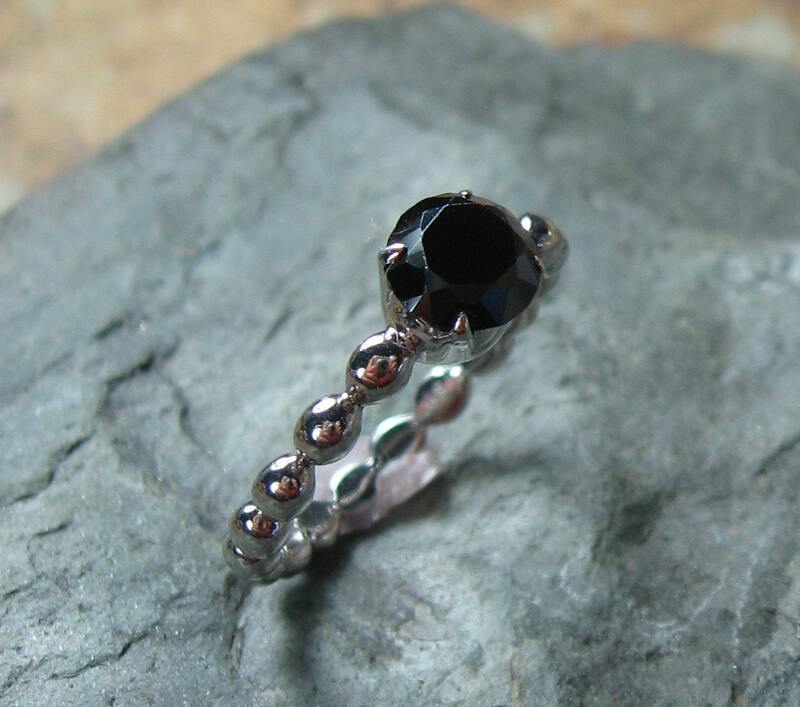 This setting is a Solid Sterling in a heavy gauge so as not to bend or lose its shape. 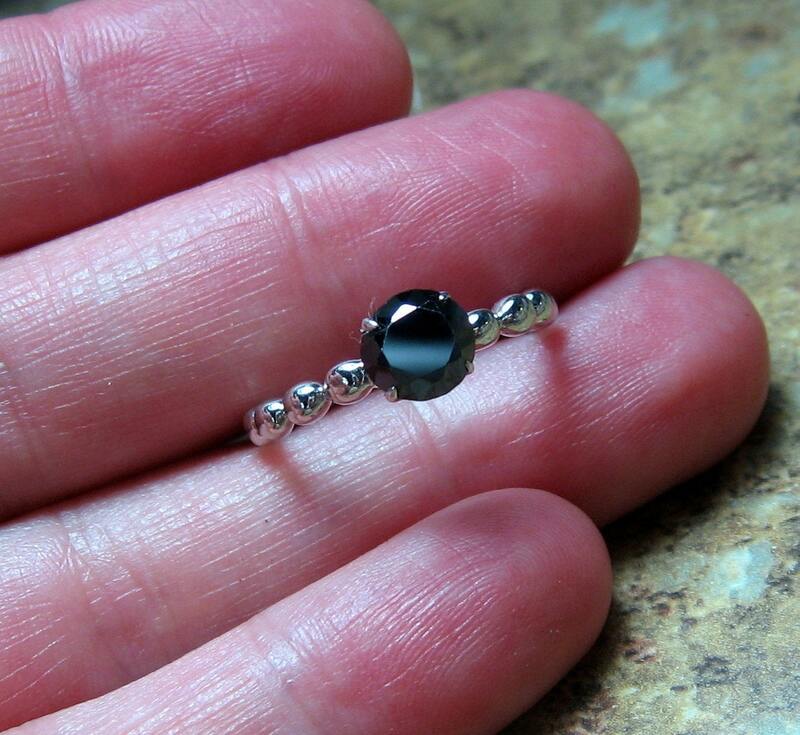 This spinel stone is 6mm, round, and lightly faceted with a low profile prong setting. 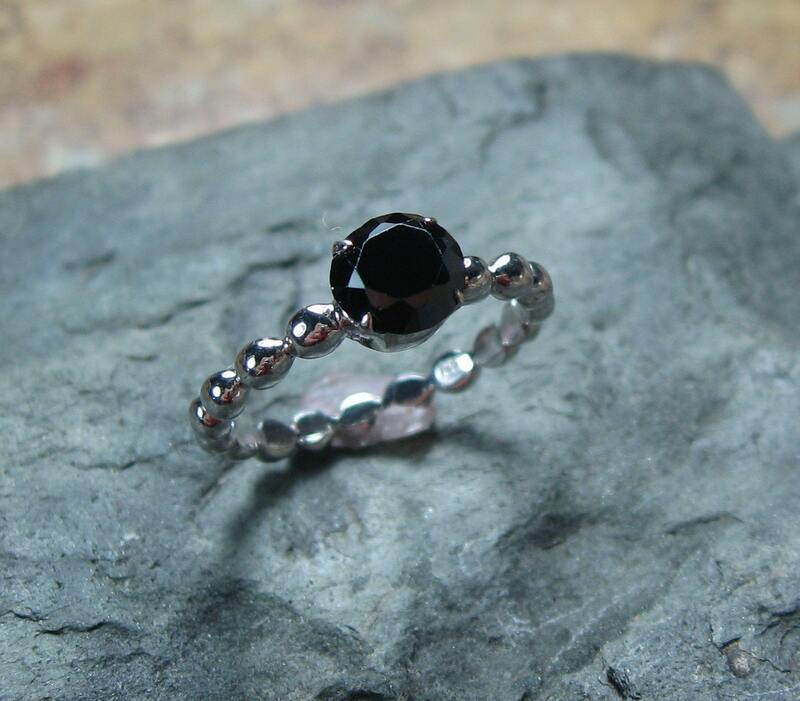 This ring would make a beautiful engagement/promise ring for the non traditional bride.